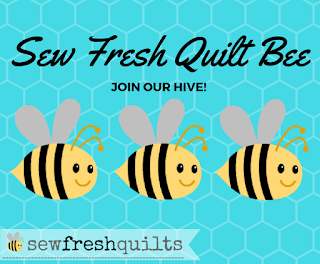 I heard about Canada’s Big Quilt Bee late last year. 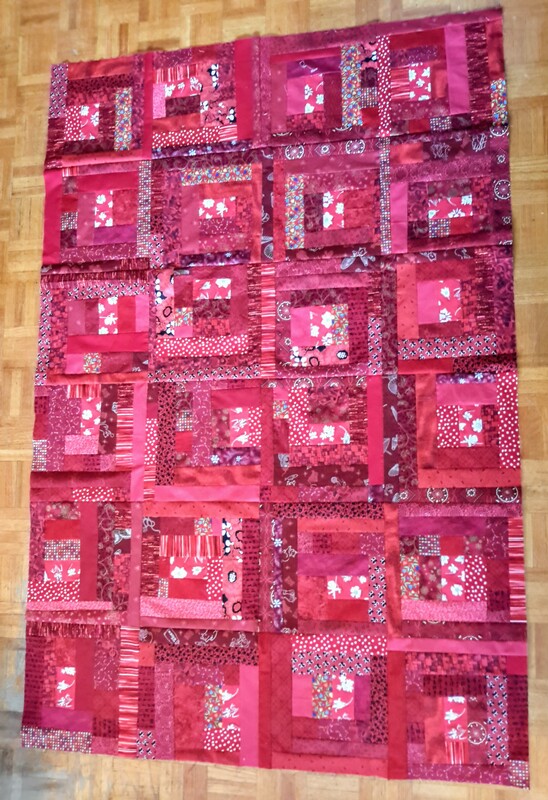 The goal is to make 1000 quilts for Ronald McDonald Houses in 2017. As soon as I read about it I wanted to participate. I decided I’d make a couple of quilt tops from slab blocks. Each block has to have a pieces of material celebrating Canada’s 150th anniversary. I’m trying to use what I have rather than buy material but I decided this as an acceptable purchase because it was for such a good cause. 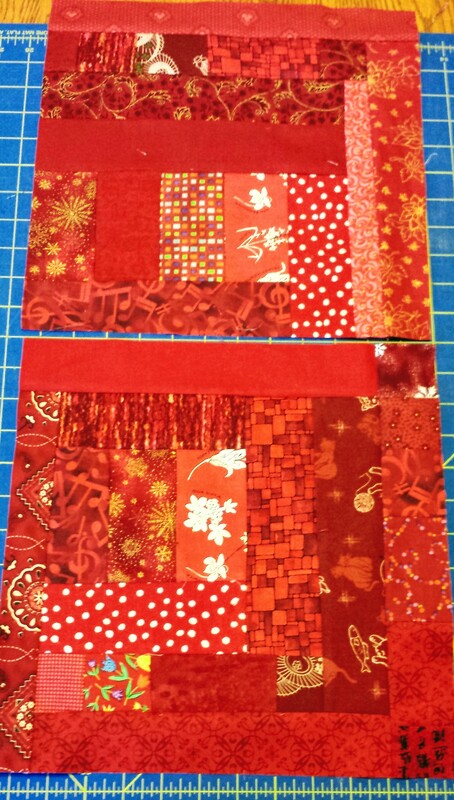 I got busy making blocks, first in blue and then in red. 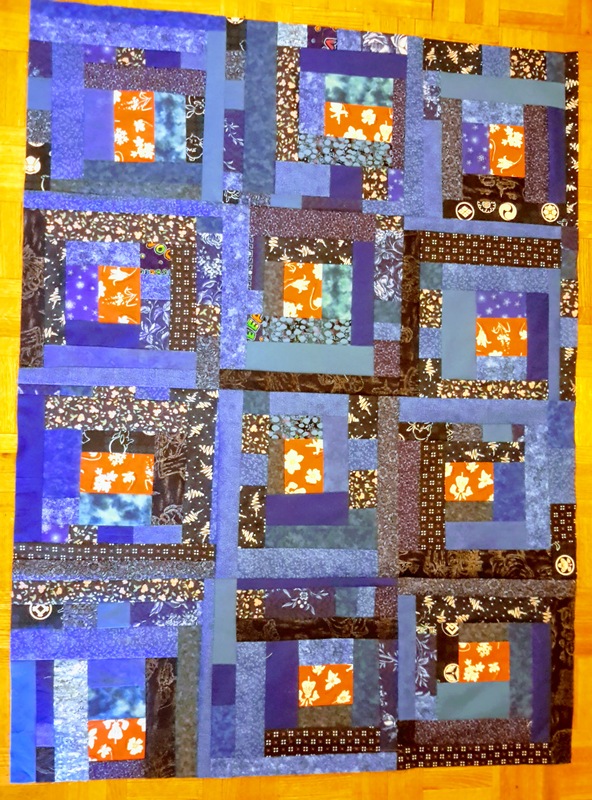 The blocks were both fun to make and challenging. Challenging because placement and colours were random. Random is always hard for me because I want perfect random. 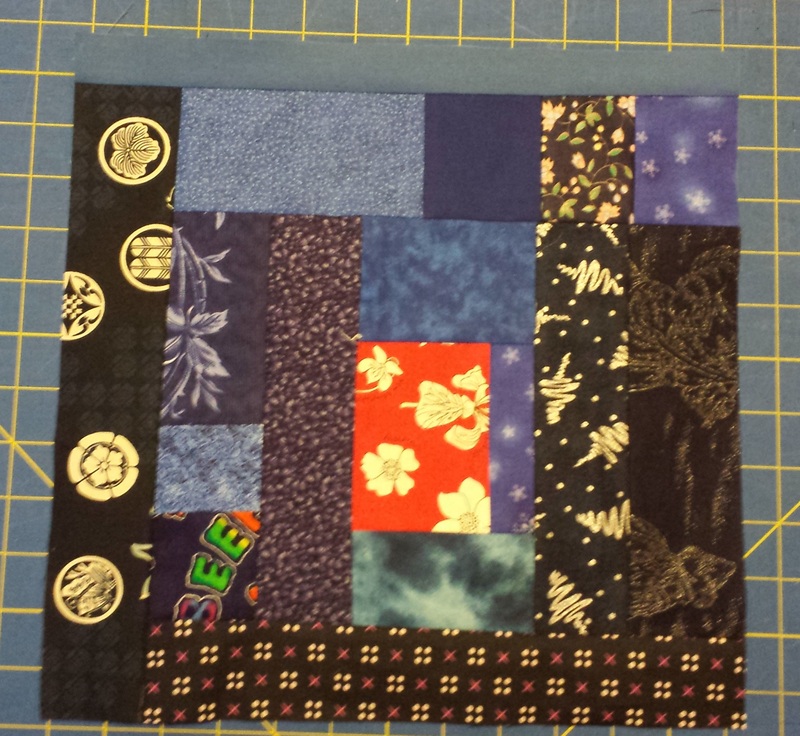 This has resulted in the following two quilt tops that I’m going to be sending to the coordinator of the quilt bee. Now to get them into the mail and to the coordinator before the deadline!